Charlotte C, Katie and Ewan are here to help give you the inside track. 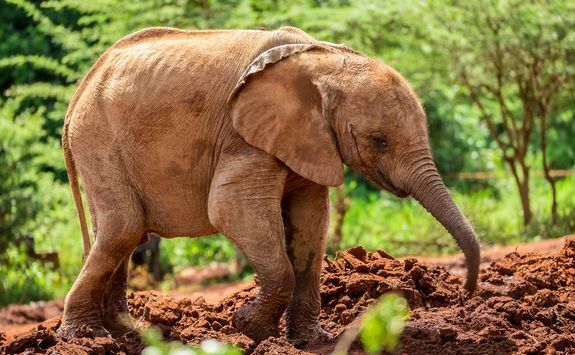 Staying at some of Kenya's most intimate safari lodges and coastal hotels, this family-friendly 'bush and beach' combination is a fabulous introduction to the country's impressive wildlife and glorious coastline. 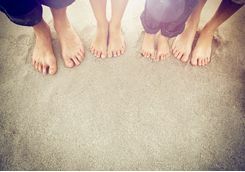 With knowledgeable hosts to welcome you, the whole family will be wowed by their experiences, returning home with incomparable memories. 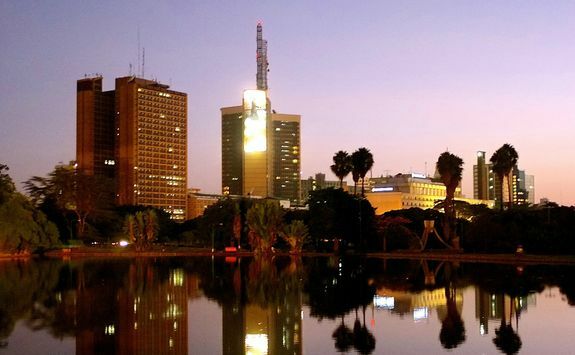 Your direct flight to Nairobi leaves London in mid-morning and takes eight-and-a-half-hours. 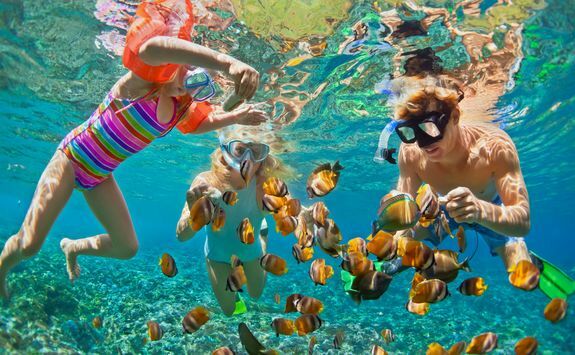 Make sure the children board with their personalised Sharky and George packs to keep them entertained on this day flight while you - hopefully - get the chance to settle into that box set you've been meaning to watch for months. 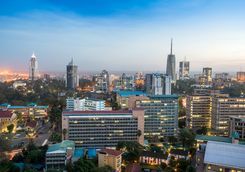 The flight arrives in the Kenyan capital in the evening, and you will be met and transferred to our favourite family hotel on the outskirts of the city. 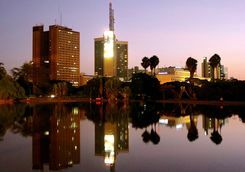 Kenya is two hours' ahead of the UK so it should feel pretty much like normal bedtime for the children. 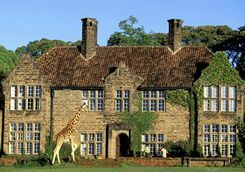 The children will be unlikely ever to forget their first breakfast in Kenya because you're staying at Giraffe Manor, where the resident giraffes regularly pop their heads through the window of the breakfast room in the not unreasonable expectation of a treat, hand-fed by delighted guests. 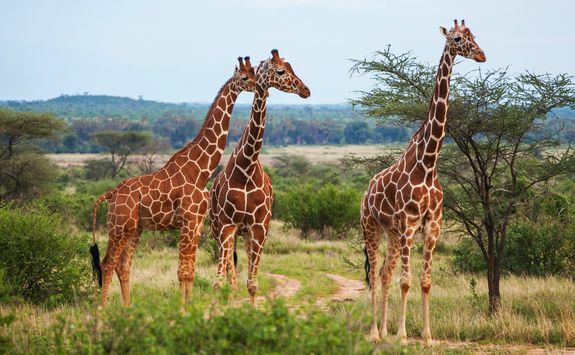 If the children then want to know more about these adorable but endangered animals, pop across the lovely lawn to the Giraffe Centre, where the rangers will answer all their questions and guide you around the giraffe sanctuary. 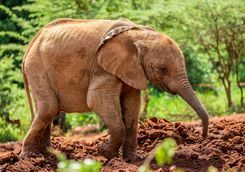 You may like to take a trip to the nearby David Sheldrick Wildlife Trust where you can spend an hour watching the orphaned baby elephants as they enjoy a mud bath and a midday meal and learn about the ongoing rescue and conservation projects. 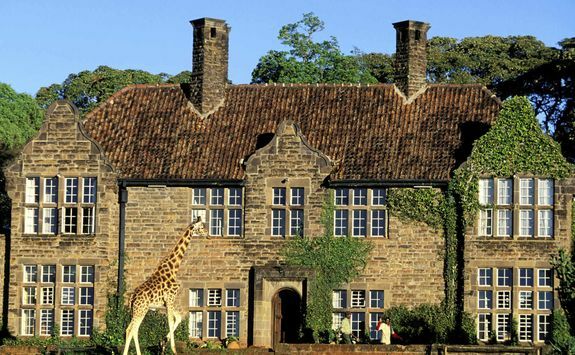 Back at Giraffe Manor, enjoy a relaxing afternoon and evening in anticipation of your onward journey tomorrow. 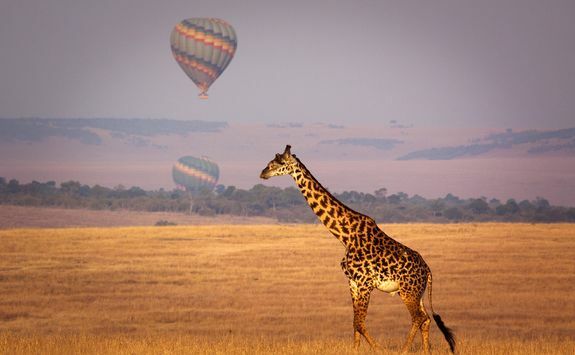 Your driver will collect you early this morning from Giraffe Manor and you'll be transferred privately to Wilson Domestic Airport for your hour-long flight to the legendary Masai Mara National Reserve. 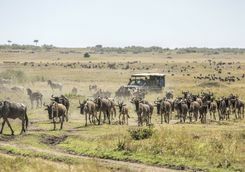 On arrival, you'll be met by your guide and driven to your camp in the Mara North Conservancy by 4x4 game drive vehicle, keeping a close eye out for animals along the way. Depending on your spotting skills and with your guide happy to pause en route, it takes around half an hour to reach your accommodation. 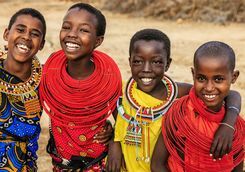 We work with (and know well) a selection of camps and lodges in the Masai Mara, and will recommend one of the best family-friendly options. 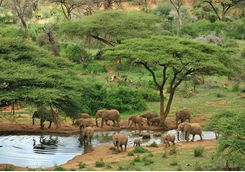 Wherever you stay, expect charming accommodation, expert guided and excellent game viewing. 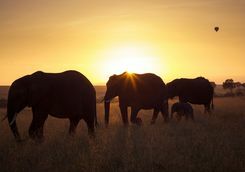 This afternoon the family will be able to enjoy a first pre-dinner game drive, stopping for the traditional sundowner cocktails (or mocktails for the children) before heading back to camp for a delicious candlelit supper. 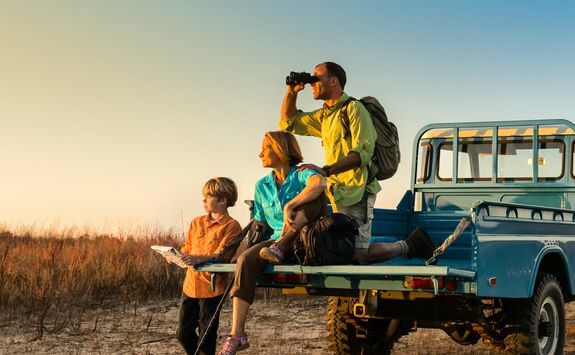 Safari means early starts, so the team can hop into your comfortable safari vehicle, binoculars at the ready, to greet the animals as they start their day at sun-up. 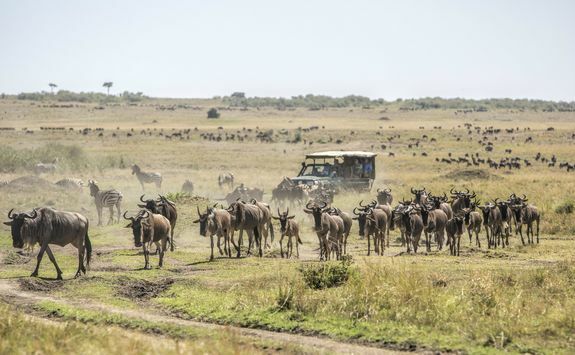 Your camp or lodge's vehicles are perfectly geared for photographing the animals, with three rows of seats and open sides meaning everyone gets a great view. 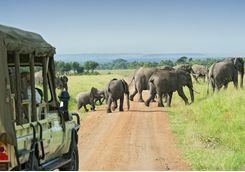 During your morning drive, look out for buffalos, elephants, giraffes and hyenas as well as countless species of birds and small mammals. 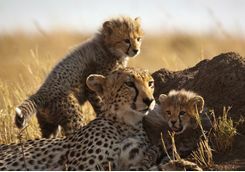 If today's your lucky day, you may even spot lions, cheetahs, leopards or wild dogs - your guide can show you how to recognise their tracks. 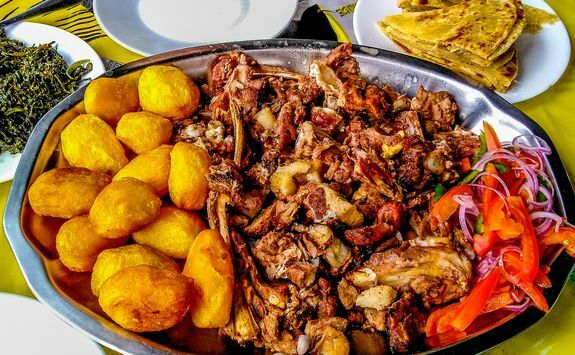 Then head back to camp with a good appetite, ready for your hearty late breakfast. 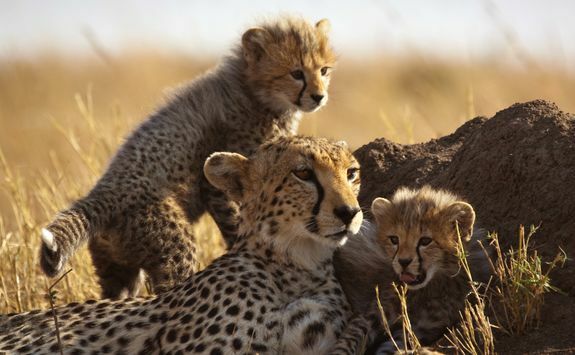 After that, the family can relax during the heat of the day, before it's time for the afternoon game drive. 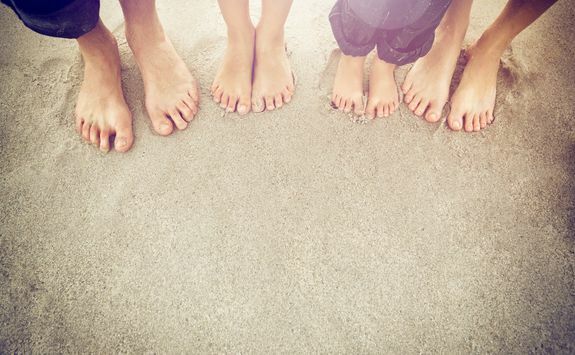 What's in store for the family on this morning's drive? By now your game spotting skills will have improved beyond recognition. 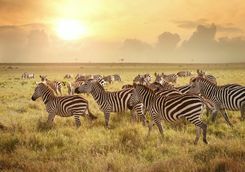 In the Mara North Conservancy, which has balanced grazing that keeps the grass short and lush, your chances of spotting game can be greater than in the Mara Reserve itself, where cattle are not allowed. 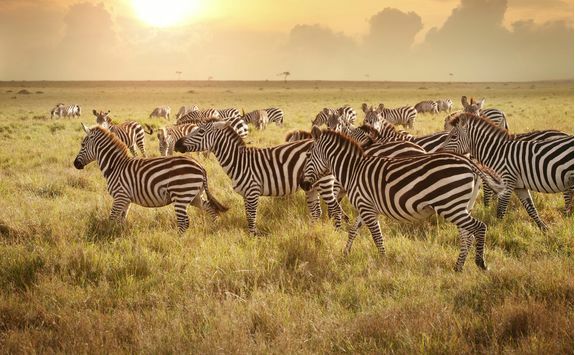 During the wildebeest and zebra migration from the Serengeti between July and October, the whole area teems with wildlife, making it one of the most incredible safari destinations in the world. 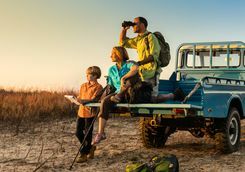 At this time of year, your guide will head for the river crossings for the best observation points. 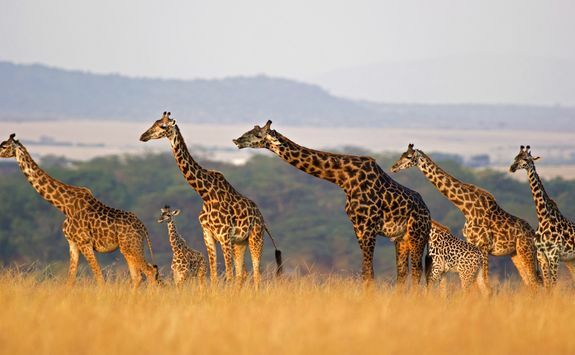 For adults and children over 12, a walking safari is not to be missed during your stay. 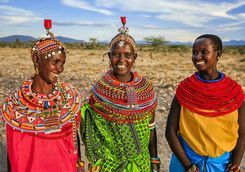 Accompanied by an experienced walking guide and a local Masai, you'll be amazed at how much you can see from the ground, including animal tracks and plants. 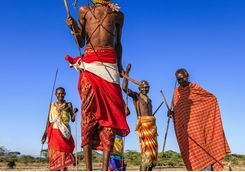 If the children are younger, they can learn about campfire building, how to throw a rungu (Masai club), make and fire a bow and arrow and track animals, so there's plenty to entertain them back at camp. 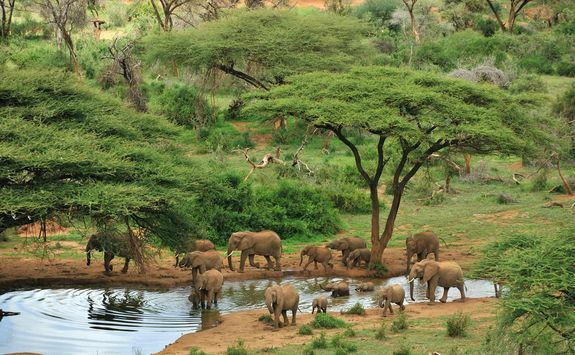 After your evening game drive, enjoy a final dinner with your camp mates and hosts. 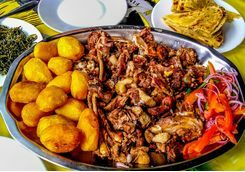 There may be time for one last game drive and breakfast before your driver takes you to check in for your onward flight to Laikipia. 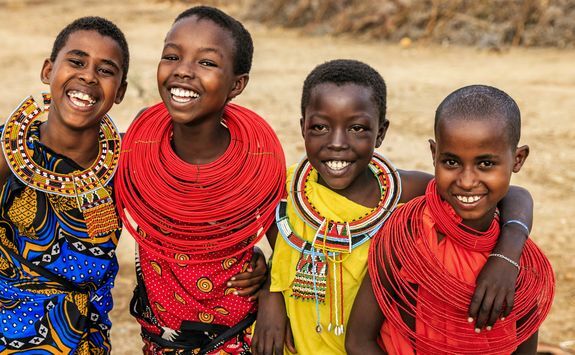 On arrival, you'll be met and transferred to another super family friendly lodge for a completely different safari experience. 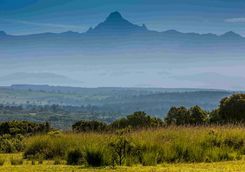 Laikipia is home to a number of excellent lodges and camps, often located on rocky escarpments overlooking the stunning Laikipia plateau and Mount Kenya. 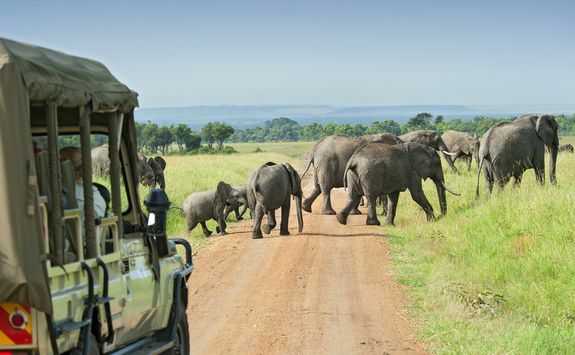 Wherever you stay, the family should be there in time to enjoy a short afternoon game drive before settling in for supper in your home for the next few days. 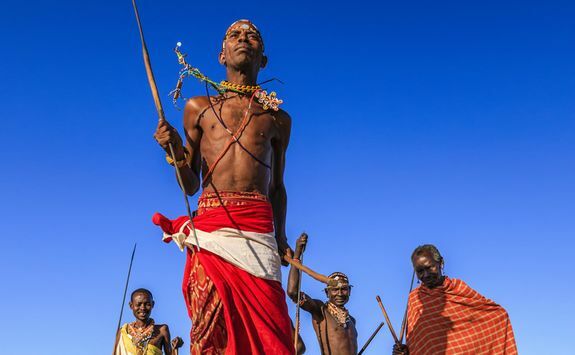 Laikipia is the perfect foil for the Masai Mara thanks to the different scenery, but also because of the great family-friendly activities on offer. 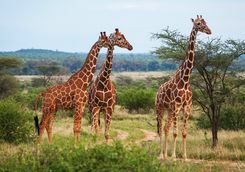 Your diminutive David Attenboroughs will still get to enjoy game drives galore, but there's much more to do, too. 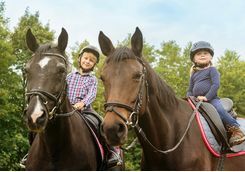 Children and parents alike can try their hand at horse or camel riding. 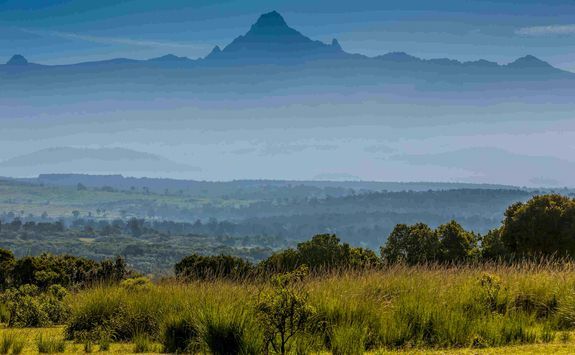 Then there's the chance to go mountain biking, or (if the children are older) on a walking safari. 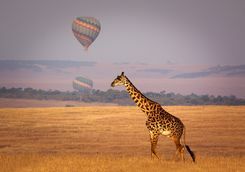 There's even the option to charter a helicopter for the ultimate in aerial safaris. 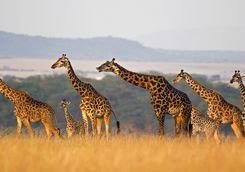 On more conventional 4x4 game drives, Laikipia is home to a dazzling array of wildlife, from elands, kudus and gazelles to reticulated giraffes, wild dogs and the ever-entertaining warthogs, as well as some or all of the famous Big Five, depending on where you are staying. 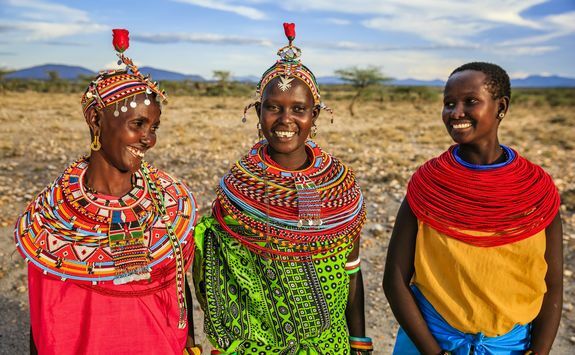 One of the absolute highlights for anyone staying in Laikipia - and particularly families - is a visit to a local Samburu community to meet children at their school, watch craftswomen working on their beautifully intricate and colourful beading and to see moran warriors practicing their hunting skills or the iconic jumping dance. 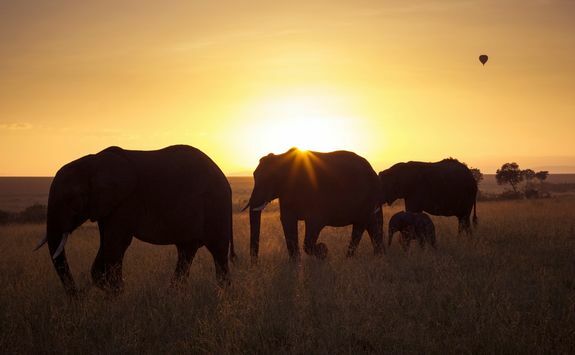 This morning it's time to bid farewell to your new friends in Laikipia and return to the airstrip for a flight first to Nairobi and then on to the coast. 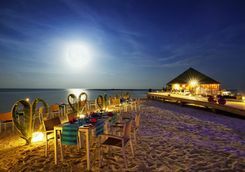 On arrival, you'll be met for your private transfer to your beachfront hotel or villa (we have a range of private hire options). 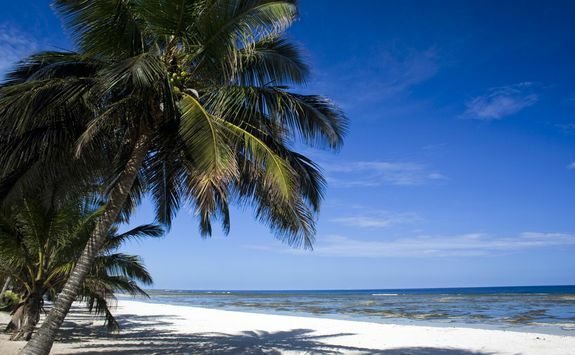 After 'the bush', it's time for 'the beach', and along Kenya's coast it's all about relaxation and pleasure. 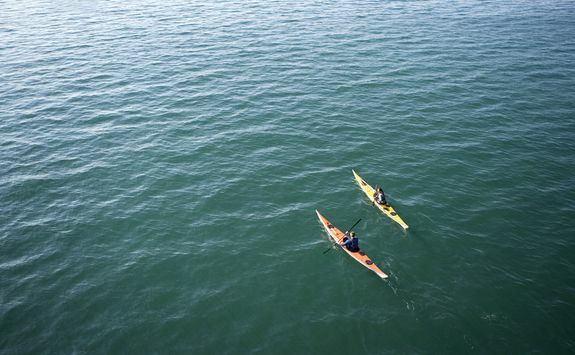 After those early starts and exciting game viewing, you now have time to completely relax and do as much or as little as you like, with activities from sea kayaking to snorkelling and sailing to fishing on offer for those who don't do R&R (read: the children). 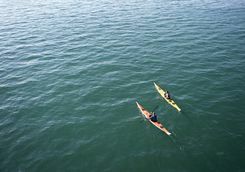 The watersports conditions here are exceptional, with kite surfing a particular speciality along this stretch of coast and tuition on hand for anyone tempted to give it a go. 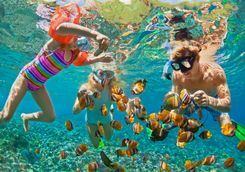 Diving is available for all abilities, including a pool-based 'try dive' for children aged eight. 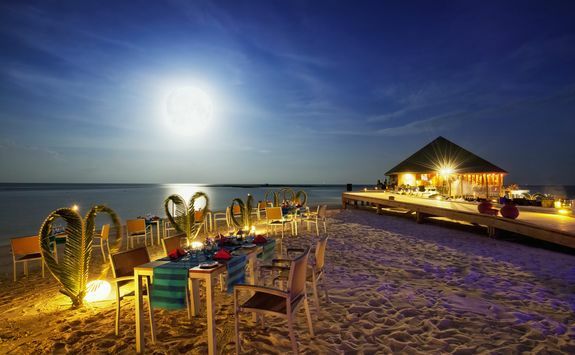 Come evenings, the children might have finally tired themselves out, just in time to have dinner with toes in the sand. 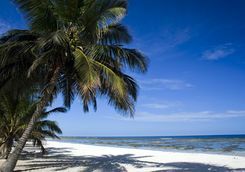 Enjoy a leisurely last morning and perhaps a final stroll along the beach before a long lazy lunch. 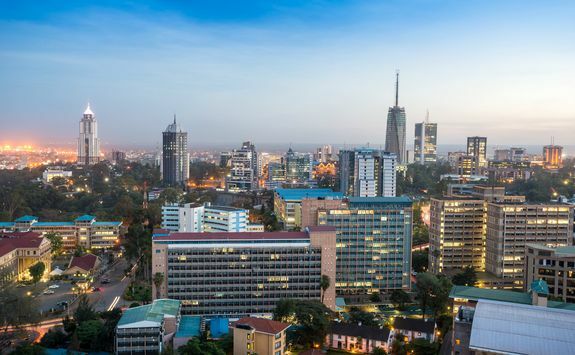 In mid-afternoon you will be met for your private transfer to the airport and after a short flight to Nairobi you'll arrive in plenty of time to connect onto your late night and overnight international flight back to the UK, which takes just under nine hours. 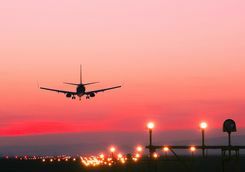 A day room can be arranged at a nearby hotel should your little ones need a nap or space to run around while you wait for your home-bound flight, though flying overnight should help everyone to get a few hours' sleep. 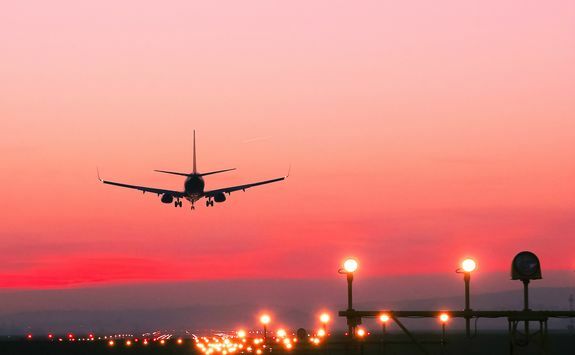 Your flight arrives back in London in the early morning. 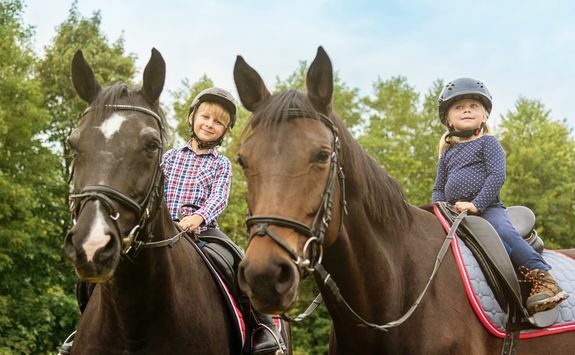 Charlotte C, Katie and Ewan are our experts for this itinerary and as seasoned travellers they have the inside track on the most memorable adventures.